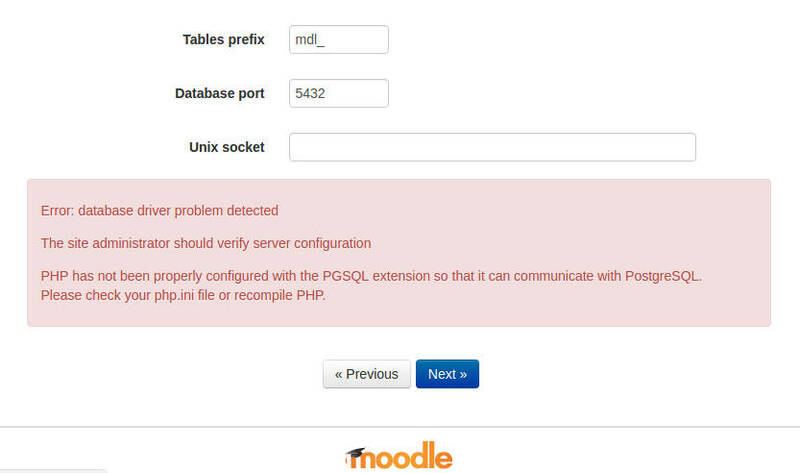 PHP has not been properly configured with the PGSQL extension so that it can communicate with PostgreSQL. Please check your php.ini file or recompile PHP. Fixed by installing php7.0-pgsql package. ← Building Packages For EasyApache 4!